If former Starbucks (SBUX) CEO Howard Schultz were elected President of the United States, he would commit to selling his shares in the coffee company. Schultz, who departed the company last summer, is “seriously considering” a presidential run as a centrist Independent. He is the single largest owner of Starbucks stock, holding around 33 million shares, valued at around $2.7 billion. Schultz, 65, joined Starbucks in 1982, which at the time was a small seller of whole bean coffee with just four stores in Seattle. It was in 1983 when a 30-year-old Schultz took a business trip to Milan where he became enamored by the “romance” and “theater” of Italian espresso. The young Schultz saw the potential in translating the Italian espresso bar to Starbucks, but his idea was turned down by the initial founders. Soon after, Schultz left to set up his first coffee bar Il Giornale, named after a daily newspaper published in Milan. Starbucks ultimately encountered some financial trouble, and the founder approached Schultz to buy the company in 1987. Today, Starbucks operates 30,000 stores in over 70 countries serving more than 100 million people each week. Starbucks opens a store every 15 hours in China, one of the most important markets for the company's growth. Schultz stepped down as CEO in April 2017. Just over a year later, he stepped down from his role as chairman in June. 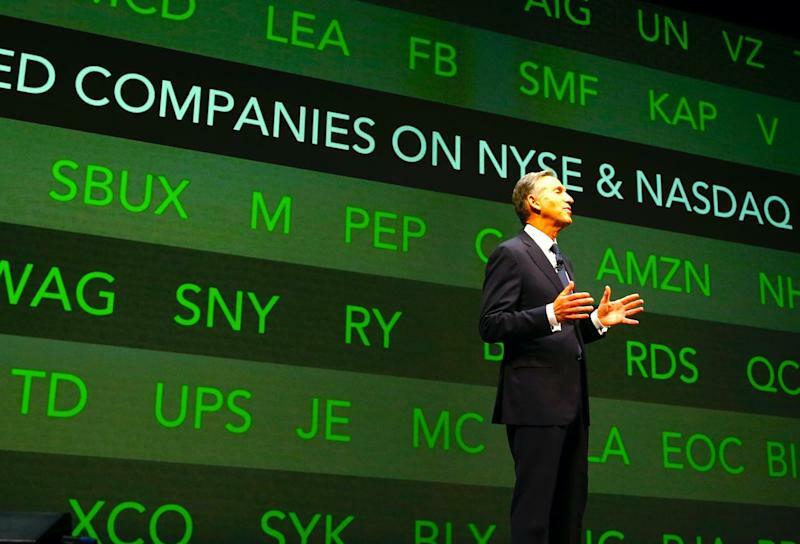 Under the leadership of CEO Kevin Johnson, Starbucks’ stock is trading at an all-time high.